RT’s Rachel Blevins reports on the European Union Parliament voting to support opposition leader Juan Guaido as the new Venezuelan president. 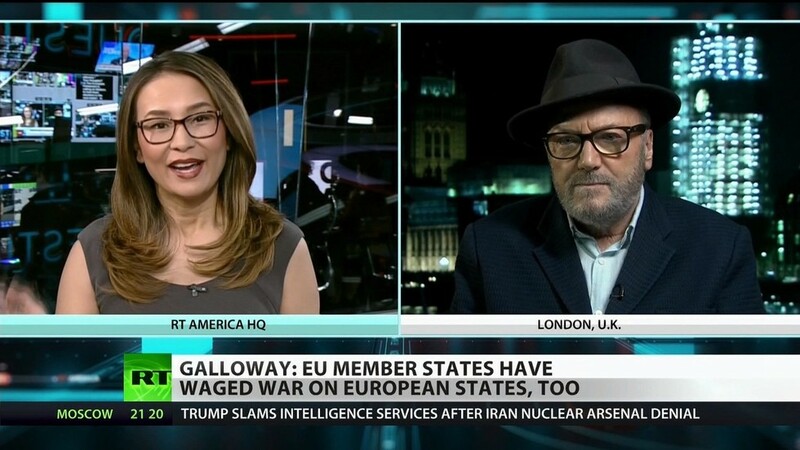 This move is illegal and not supported by the majority of people, says former UK MP George Galloway. Six people have been sentenced in the murder of former Chilean president Eduardo Frei Montalvo. The United States attempting to prosecute a Chinese tech company executive is mere cover for the global economic struggle it has been waging to remain dominant, says Democracy at Work co-founder Richard Wolff. The cold spell in many parts of the United States ends today. A 50-foot-long underground tunnel constructed from the woods to a bank in Florida has prompted an investigation. Jury deliberations will begin soon in the trial of accused drug kingpin Joaquin “El Chapo” Guzman. Chicago police have released photos of an alleged racist and homophobic attack on “Empire” actor Jussie Smollett.